Paul Labrecque founded his salon and studio in 1988 based on the belief that making people look and feel their best could truly transform their lives. Today, that salon has expanded to three locations and is a perfect luxury experience with a knowledgeable and friendly staff. Meanwhile he has extended into a Hair and Color Academy and his own line of haircare products. Lebrecque also shapes the dialogue on hair and style with appearances in Vogue, W, New York Magazine and GQ. How did you first get interested in being a hairstylist? My aunt owned a wig business when I was growing up. Synthetic hairpieces were very popular then, and when I was nine years old I started helping her comb the wigs and style them. I loved watching my aunt wear these pieces, working with a different color each day. I quickly realized I wanted to be in the hair business. I still do a lot of hair restoration, although none of my pieces now are synthetic! Has your approach to hair changed over the years? I was professionally trained in traditional Sassoon techniques. I believe this academy is still by far the best out there. At Sassoon I was guided and given the opportunity to develop my own personal, artistic style, which continues to change over time. Sassoon teaches excellent foundation methods. You've built an entire hair-related empire ranging from ecommerce to salons — what's your favorite part of your work? I've always wanted to have my own TV show called "Behind the Chair." As a stylist I'm a "beautifier," friend and therapist to those who see me. My favorite part of my job is working with my beloved clients. Men's haircuts are in constant flux, what are the trends we should look out for this year? When considering trendy cuts for my clients I always take a few things into perspective first. Facial features, face shape, hair texture and even factors like any scars on the head come into play before I make changes. Right now facial hair continues to remain popular, the scruffy look seems to be sticking around. Many men are shaving the sides of their head and are leaving a much longer top, but I think this will phase out in 2018 and we'll likely see longer hair with more wave to it. And are there any you're eager to say goodbye to? I don't like seeing men and women kill their hair with bleach, and I'm not a fan of pastel hair colors. Pastels look faded to me and they're especially not attractive when they're poorly done by someone who doesn't know how to dye hair. I've seen many trends come and go. Remember that damaged stands are never in style! What's one piece of hair advice you'd give men? Always finish your wash with a cold rinse. Also, if you color your hair leave a little grey at the temples and don't ever do a single process! This item contains Shea butter and is great, moisturizing styling complement to all men's styles. It's natural ingredients will prevent breakouts on your face and forehead. Your breath and mouth will feel really clean. This helps keep my skin looking as youthful as possible. There is a P50 formula suitable for everyone! I don’t walk outside without sunscreen. The scariest thing about aging is spots when they appear. I paid a lot of money to remove sun damage and I don’t want it to return! After checking out the salon services at Paul Labrecque Salon, our contributor Kasey Spickard reported: "The Paul Labrecque salon is a perfect luxury experience with a knowledgeable and friendly staff who know how to make their guests feel like a million dollars! We all know the French cult classic product Biologique Recherche P50 Lotion but getting a facial from an expert facialist with the entire line of Biologique Richerche left me feeling years younger and my skin refreshed. The Mint Menthol Scalp Revitalizing treatment is a must, it's invigorating and nourished my scalp prior to my haircut. My consultation and cut with Frederic was a personal experience and I can honestly say I haven't gotten more compliments on a haircut in years." 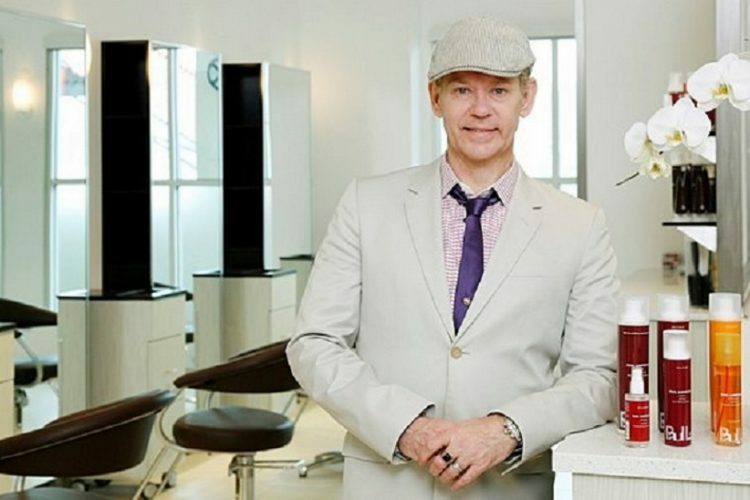 Paul’s life-long passion for hair combined with his creativity and engaging personality has earned him a loyal following, a trio of highly successful Manhattan salons and day spas, an ever-expanding, award-winning premium hair care collection and a thriving retail business. He also boasts one of the most respected and comprehensive training institutes for up-and-coming stylists in New York City. Paul’s motivation stems from a hands-on approach to all aspects of his business, but receives his greatest inspiration from teaching, nurturing and preparing his up-and-coming assistants for their careers in beauty.